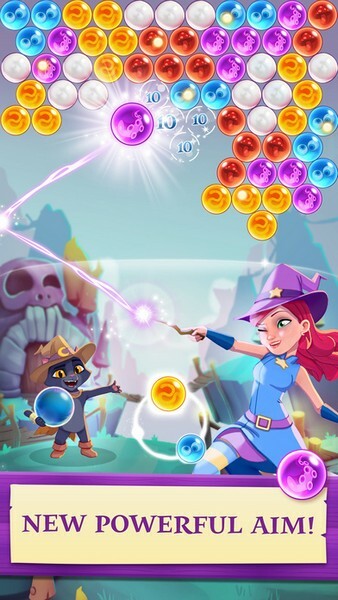 Bubble Witch 3 Saga is a free-to-play casual mobile game developed by King for iOS and Android. 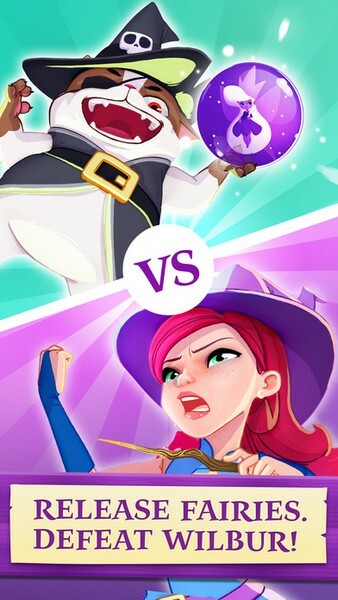 Stella the Witch is back and she needs your help more now than ever before. The evil Wilbur may look cute at first glance, but make no mistake. He's full of magical mischief and must be stopped at all costs to keep everyone safe. 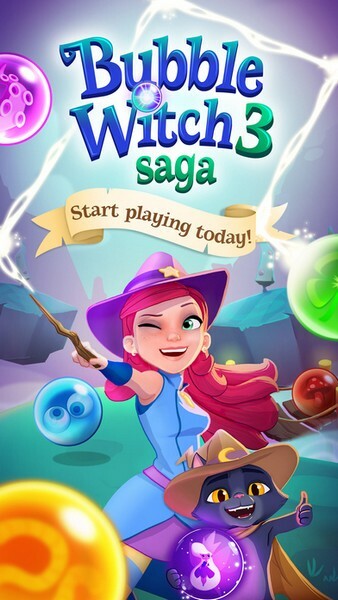 Help Stella keep everyone safe from the evil Wilbur's nefarious magic and customize your home to your heart's content in Bubble Witch 3 Saga. Various Objectives: You won't just be popping bubbles randomly on the screen. 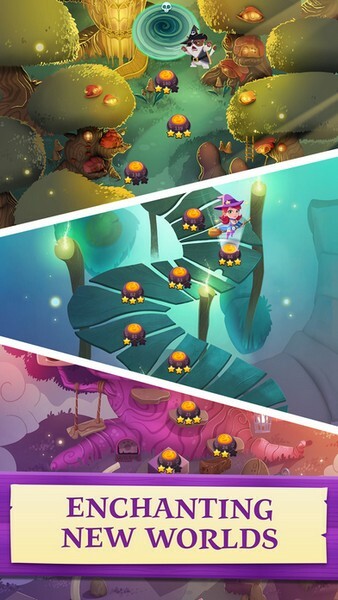 Whether you need to rescue owls trapped in them or help a ghost reach the top of the screen you'll have a variety of objectives to complete. 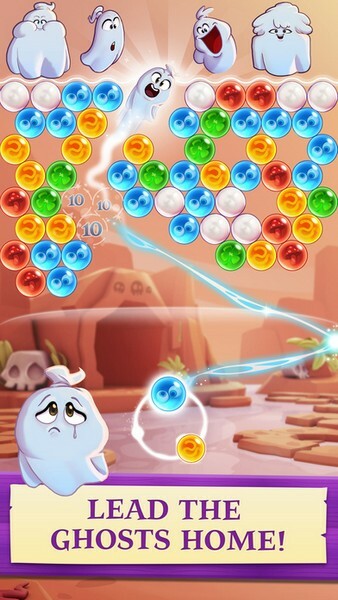 Power-ups: Collect different power-up bubbles that will help you clear out levels much faster. You won't regret utilizing them! House Creation: Purchase upgrades for your home and customize it to your liking. 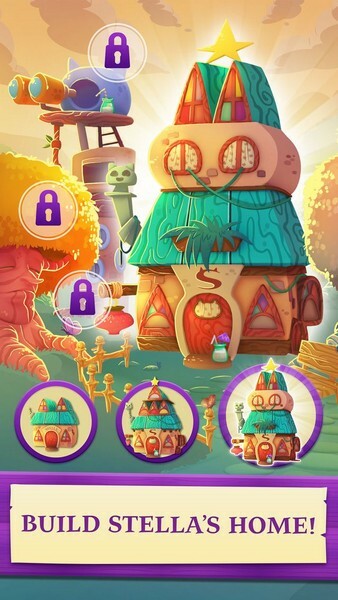 You can even go visit your friends' homes, get some decoration tips, and earn some pixie dust too!